RS485 Buetooth BLE V4.2 Single mode Serial converterwith RS422, RS485 Modbus RTU, RS-422, RS-485Model: BLE-485C Support iOS & AndroidSupport "Central" and "Peripheral"Support RS-485 Modbus RTUApplications:- PDA, POS, Smartphone- Receipt printer- Bar code reader, RFID reader, IC card reader, MSR card reader- PLC, CNC machine- Robot, UAV- SCADA, data collectorSpecifications:1. Baud Rate: Supports 1.2/2.4/4.8/9.6/19.2/38.4/57.6/115.2/230.4/460.8/921.6 Kbps2. Default Baud rate: 9600 bps3. Parity: none/even/odd4. Stop bit: 1/1.5/25.Data bit: 7/86. Range: 30 m7. Signal: TxD, RxD, GND, CTS/RTS8. RS-422/485 Interface: 4P terminal block9. 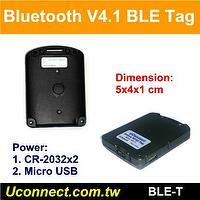 Standard: Bluetooth specification version BLE V4.2 Single mode10. Profiles: GATT Serial11. Frequency: 2.400 to 2.4835 GHz 12. Tx. Power: Max. 3 dBm13. Rx. Sensitivity: -89 dBm typical 14. Power Supply: 5~27VDC, 1.5A Max15. Current Consumption: 30 mAh max.16. Operation Temperature: –40 °C to +85 °C17. Dimensions: 81.6 mm (L) x 31.75 mm (W) x 17 mm (H)18.Antenna Gain: Chip antenna max. 2 dB Function:1. COM port setting configured by the AT command, APP or DIP switch2. APP for configuration and test: iOS or Android, the sample code will be offered with the products.4. Support "Central" and "Peripheral", the APP will configure the setting and enable the connection. 5. GATT service: GATTUUIDUUID_Device Information0000180A-0000-1000-8000-00805F9B34FBUUID_Firmware Revision String00002A26-0000-1000-8000-00805F9B34FBUUID_NOTIFY (~20 bytes)00031234-0000-1000-8000-00805F9B0130UUID_RxData (~20 bytes)00031234-0000-1000-8000-00805F9B0131UUID_MacID (6 bytes)00031234-0000-1000-8000-00805F9B0133UUID_DeviceName (15 bytes)00031234-0000-1000-8000-00805F9B0134UUID_Reboot (1 bytes)00031234-0000-1000-8000-00805F9B0135UUID_PinID_Setting (6 bytes)00031234-0000-1000-8000-00805F9B0136UUID_BLE_CONF (7 bytes)00031234-0000-1000-8000-00805F9B0132 Byte0Byte1Byte2Byte3Data bitHwfcStop BitParity Bit7,80x01:on0x00:off2:13:1.
applications. We supply the OEM/ODM service. 2. 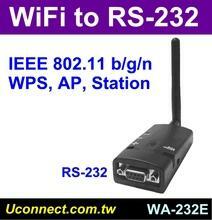 WiFi to serial port converter: WiFi to RS-232 or RS-422/RS-485 converter. 5. 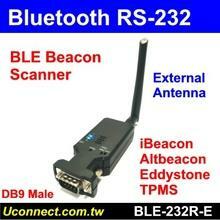 APP for data COM, R/C solution via Bluetooth or WiFi for Android, iOS and etc..
7. LoRa, 3G or BLE Mesh M2M applications. improving quality, expanding our capacity, and maintain a strict quality control policy. Even small quantity, we care about the quality and cost.